The smallest changes can make the biggest impacts by rippling out into the rest of your day, week or future. Buy a dozen eggs at the grocery store and now you can make your own breakfast tomorrow in under five minutes. Eat breakfast and then you don’t snack at all before lunch. No snacks means less carbs in your daily menu which turns into less insulin response, so that when you eat lunch more of the energy in lunch is sent to muscle, not fat. More energy sent to muscle means that all day you feel peppier, it takes more work to fatigue you, you have a better day. These days I cook (or I should say ‘we’ cook) just about everything I eat. Cooking all of my meals wasn’t something that I loved to do until recently. When I was single I cooked most of my meals through necessity. Learning to love cooking took meeting a really great teacher. Meeting a really great teacher came from reading the same online magazines every morning. One morning there was an article on Salon.com entitled “TV Chefs That Don’t Bite“, December 2, 2004. Just over ten years ago I read something that led to my love for food, my interest in nutrition and diet, my desire to learn how to make everything in my kitchen from single ingredients. My first sensei was Alton Brown of “Iron Chef” and “Good Eats” fame. 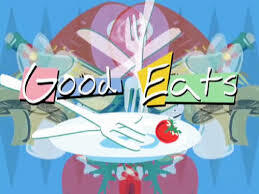 I remember vividly the first time I watched Good Eats. It was a revelation to watch a cooking show where the focus was on why you were doing the things you were doing, instead of “add this then this, then mix, then cook.” As a guy I hated the way recipe books and TV chefs said things like “saute at low heat for seven minutes.” Apparently they were oblivious to the fact that most of the men in their audience didn’t speak French, so a word like “saute” meant nothing. At low heat also means different things to different people, and seven minutes is a variable when you don’t know what either saute or low heat mean. Alton Brown taught me what to look for. Even going into a grocery to buy a ham, once you get to the meat case you find out that ham is a word with a lot of meanings, too. Alton patiently explains to you what the difference between Ham with Water, and Ham with Natural Juices is. There is a significant difference. There are City Hams and Country Hams. Totally different hams, cook one like you would cook the other and it is inedible. He showed me how to cook a country ham, I did it and now I can say I know how to cook a country ham. I also know how to make one from raw pork. Ham isn’t ham until you cure it in brine for two weeks. You can learn that kind of thing watching the TV show “Good Eats”. Finding out how to really cook, what are the best tools for the job, how to outfit a pantry for maximum flexibility, those are all things that began for me by reading a Salon article. Maybe your journey will begin right now by clicking the link to Good Eats and starting there. I have pointed out other resources for leaning what is going on in the kitchen when people who know what they are doing are in there. Another great cooking show is “America’s Test Kitchen” which was on public TV for the longest time. They also taught you why you were doing certain things at certain times in the kitchen. Basically, between these two shows nothing was left unturned. Then all that was left to get me from there to where I am now is the knowledge of what to cook. Lately I am convinced that if I make my own food out of single ingredients then I will not ever have to eat processed foods again. Making my own macaroni and cheese is just as fast as the boxed, but I know where the cheese is from and it looks like cheese. The ingredients on mine are all english words, and I know what they all are. There are a lot of questionable ingredients in the processed product. I guess the moral of the post is that cooking is easy if you know a few basic things and there are a few places that I have mentioned here today where a guy can go and watch someone do it, and they explain what they are doing and what they are watching for to know if they are doing it right. There are great training resources out there, the internet is your friend. 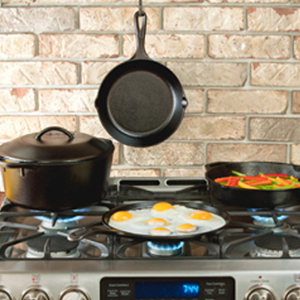 Buy a cast iron skillet, or get the rust off of the one you have now, buy a sharp quality chef’s knife, watch one of the videos I pointed out and get started on the road to kicking the bagged food habit. This entry was posted in Health, Living and tagged alton brown, americas test kitchen, best cooking shows, cooking shows, good eats, home made, make at home. Bookmark the permalink. When a couple cooks together they get to live long together. Which can be a good thing.